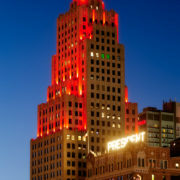 Part of Downtown Kansas City Missouri. Last Friday evening during the blizzard recovery I was wanting some skyline shots with the snow. 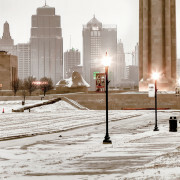 After trudging through the mess that was Liberty Memorial I realized that vantage point would be impossible, so I went near part of the Federal Reserve driveway and went wild with the telephoto. 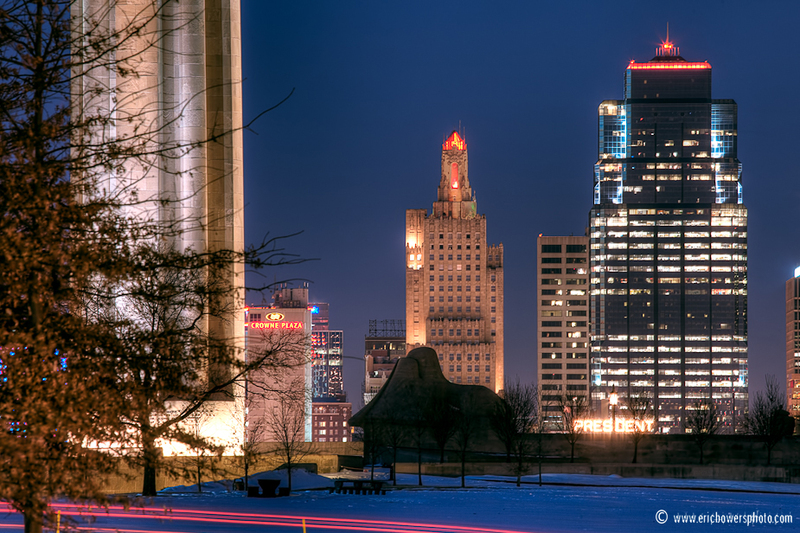 From left to right is the Liberty Memorial, the old Power and Light Building, and the One Kansas City Place building. As usual Eric, just incredible work!